There is a big misconception in the financial world and by normal consumers that all interest is the same. If you have a 6% mortgage that is the same as having a 6% line of credit. That is not true because just as important as the interest rate is “what kind” of interest are you paying and how is it calculated? Most mortgages in the United States are financed with fully amortizing loans. This means that based on the interest rate you are charged, the amount you borrow, and the term you take the loan out for a repeating monthly payment will be set up to assure the loan gets paid off at the end of the amortization schedule at the latest. When you borrow $200,000 on your home using this kind of loan your fully amortized payment based on a 6% rate and 30 year amortization schedule is $1,075. If you make all the scheduled payments on time and pay nothing more on the principle balance this loan will pay off in full in 30 years. Many of you have heard that if you pay just one extra payment towards the principal balance a year you will pay off that loan approximately 10 years sooner. This concept is true although actual pay off times will vary depending on how often you make your extra principal payments. So why don’t more people pay extra on their house payments? 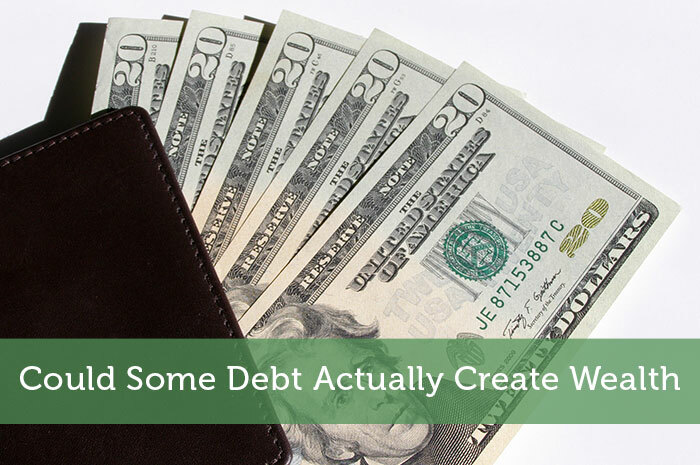 The reasons are many but one of the biggest is they don’t want to tie up that extra $1,000 in their house even though conceptually they know it will save them years of back end payments and interest. They receive no immediate benefit because their actual payment stays the same but more of that payment is now going towards principal and less going towards interest. People have problems visualizing next week let alone 20 years from now so they would rather keep their $1,000 or usually spend it on something they probably don’t really need and won’t want three weeks after they own the item. They will also reason that they will be selling in 8 years anyways so who really cares? There are also other types of home loans where the interest rate is less important than the actual “finance charge” and those are called home equity lines of credit or (HELOC). Finance charges on lines of credit (home equity and other types of lines of credit) are figured on average daily balance for the month. When the 30 day finance period comes to a close you will get a statement from your bank that you had an “average daily balance” of $50,000 and the interest rate on your account was 6% so you will pay $8.22 per diem (per day) in finance charges. This means your interest charges for the month are $247.00 so your total payment might be around $325.00 because the bank will also require some money toward the principal balance of the loan. Simple enough right? What happens if on the first day of the 30 day finance period you make a $5,000 principal buy down on your line of credit? Would you change the finance charge if not the interest rate? Your balance is now $45,000 so your 6% rate now produces a finance charge of $7.40 per day or $222 for the month of finance charges. You consider that $5,000 pay down as just that a pay down. The bank considers that $5,000 your payment for the month and will not require another $300.00 as would be your normal payment. One glaring problem is where do we get the $5,000? How about if you used your income for the month? What 99% of Americans do is get paid every two weeks direct to their checking accounts and let the money sit in that account until you use it to pay bills. Why let that money sit there until you need it collecting zero (or very little) interest? What if you had that income sit in your revolving line of credit for a period of time to help reduce or cancel out finance charges? If the line of credit is properly set up would you still be able to access your funds by writing a check? Absolutely! Would you have immediate access to any extra loan pay downs such as the $5,000 in the example above? Absolutely! Would the time that your money sat inside the line of credit affect your finance charge to your favor? Absolutely! If you could only keep that extra money inside the line of credit even for shorter period of times until the bills were due, would that change your finance charge? Again, absolutely! You have a starting monthly balance on your line of credit in the amount of $50,000. You pay down $5,000 on your line of credit (thus paying down the balance and satisfying the banks need for a payment for the month) but only for 20 days until you need most of the money to pay bills. The money then gets withdrawn (borrowed again) to pay your bills. Your average daily balance and finance charge have been affected in your favor. Yes the interest rate of 6% is the same but your finance charge is lower. This is maximizing your cash flow and making every penny count and earn or cancel interest every day. The next step is to leave some discretionary income in the line of credit. Over time, your line of credit will fall dramatically and seemingly without effort. When your balance goes down to $40,000 and all the bills are paid for the month why don’t you borrow out $10,000 from the line of credit and send it to your first mortgage as loan pay down? You should and do it as often as possible. You are systematically transferring your debt from front end loaded amortized debt to average daily balance debt. Every time you do this, the next month’s regular mortgage payment will increase how much goes towards the principal balance and will lessen how much goes toward interest. Then you are using the principles of interest cancellation combined with discretionary income to pay off mortgages, cars, and any other amortized loan in a fraction of the schedule time. I have had many clients take almost new 30 year mortgages and using this program be on pace to pay them off in 6 to 12 years without it effecting their lifestyle one bit. This is not new and in fact is done in normal course of business in Australia. Many Australians borrow big lines of credit to buy their homes and use the strategy above as normal course of business. They pay their homes off in a fraction of the time when compared to Americans.